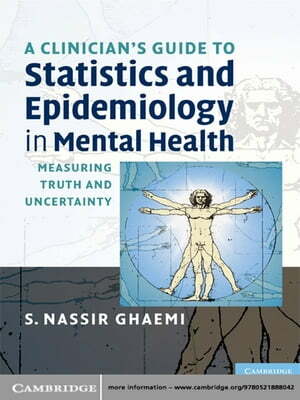 Collins Booksellers - A Clinician's Guide to Statistics and Epidemiology in Mental Health by S. Nassir Ghaemi, 9780511698668. Buy this book online. Accessible and clinically relevant, A Clinician's Guide to Statistics and Epidemiology in Mental Health describes statistical concepts in plain English with minimal mathematical content, making it perfect for the busy health professional. Using clear language in favour of complex terminology, limitations of statistical techniques are emphasized, as well as the importance of interpretation - as opposed to 'number-crunching' - in analysis. Uniquely for a text of this kind, there is extensive coverage of causation and the conceptual, philosophical and political factors involved, with forthright discussion of the pharmaceutical industry's role in psychiatric research. By creating a greater understanding of the world of research, this book empowers health professionals to make their own judgments on which statistics to believe - and why.